Although this is a pricey item it's brilliant and well worth it. 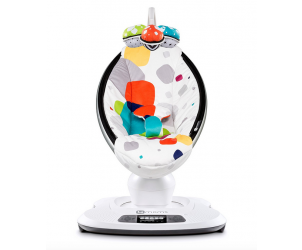 Sooth baby and it has different types of swinging, also has Bluetooth and you can operate it from your mobile phone. 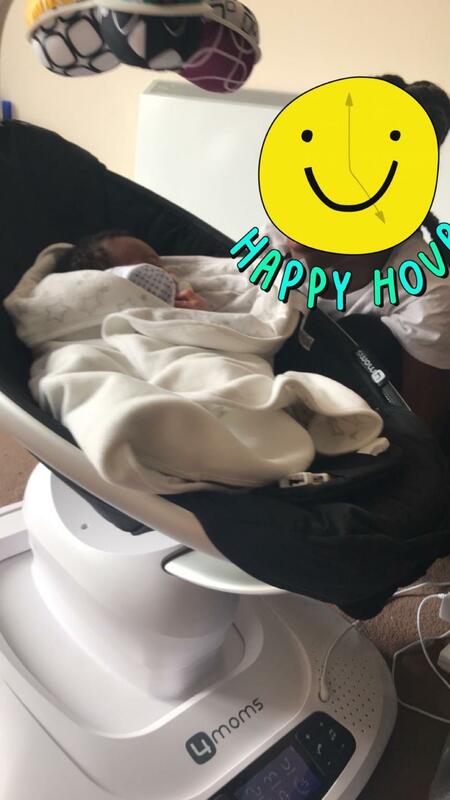 The mamaroo is and amazing product and I’m so glad we decided to purchase it my daughter loves the lay down postition for naps in the day and the upright position is great for when she is awake and interacting with me. Love the fact I can control via my phone and adjust the motion speed and noises. A Bluetooth option would be great rather then the aux lead. My son loves it, I do wish I can just play music from my phone without needing to connect the Aux. I love the different bounces, the speeds and the fact you can change the position of the chair. 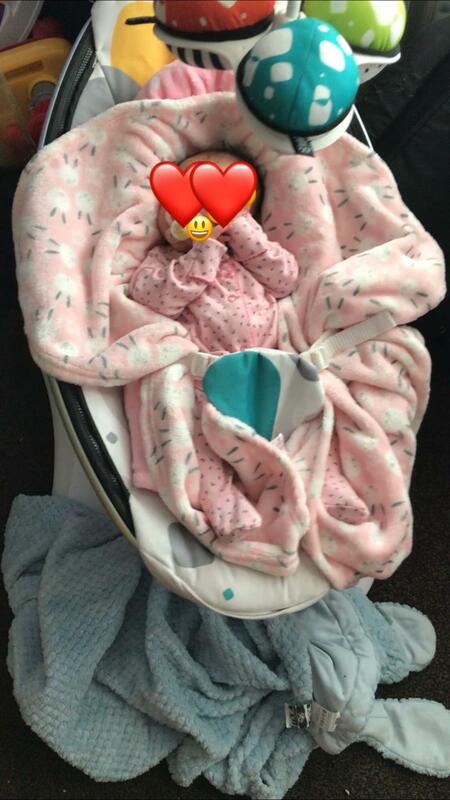 Bought for my daughter who was suffering with reflux, found this to be much better than having her in a Moses basket during the day, the movement helped with trapped gas and having her tilted helped with the reflux. The controls are easy too use, even a toddler can operate it which was a huge problem for us. Thankfully my daughter didn’t mind the ever changing speeds and directions but an option to disable the controls on the unit and just using the app would have been preferential as we had to turn it off a lot making it tiresome to plug back in. The app controls are great once the app loads and lets you in, it does seem to take a while. The soothing sounds work great and effectively. The seat is easily adjustable even with baby in, I’ve even changed the seat angle while it’s moving. I decided against paying extra for an insert instead I used a rolled blanket which offered support and extra comfort. I personally think the insert should come with the unit as it’s quite pricy and the insert is an added expense. In summary it is a really great chair and my daughter loved it however if you have a toddler who likes buttons you may want to factor that into the decision as our one year old thought it was a great game. After reading the reviews, I was so disappointed with this. In principle it’s really good, excellent quality, however my baby just didn’t like it, so it was worthless to us. I think it’s really expensive too and disappointing that the toys overhead do nothing, you can’t reach out and grab them nor do they move. I’m pretty glad I just borrowed it from my sister in law, her baby also didn’t think much of it, she thought that was because she started her late in it. My baby tried from a newborn and we gave up when she was 2 months old. I was reluctant about getting one of these due to the price but i am so glad we did. we got it with the newborn insert so used it straight away. our baby got colic at around a week or two old and this was an absolute godsend at settling her - she didn't want to be held but didn't like being still so this was perfect! 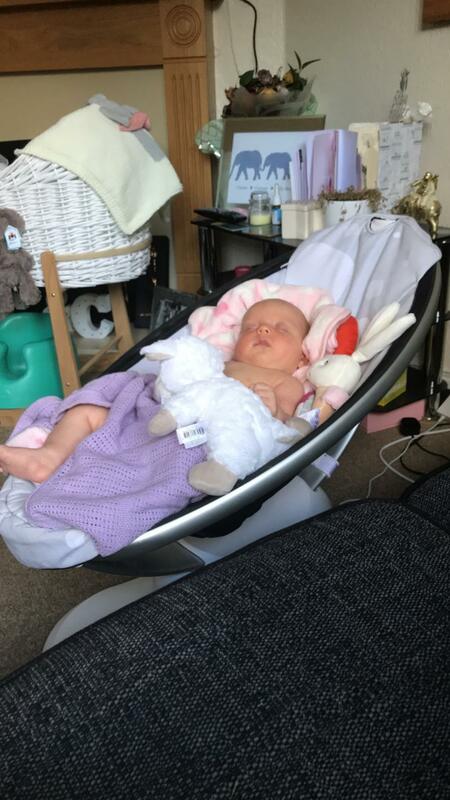 the white noise sounds really helped her to settle and we've not once had to go for a drive in the car to settle her as the mamaroo helps massively! the only thing I would say apart from the price is the mobile is a bit redundant as it doesn't really move or do anything but she still looks at it. My baby absolutely adored the mamaroo. Always settled well it in and would sleep for long periods of time. I never really used the sound effects but she loved the different movements. It is very expensive, but you could always keep it for any future children or pass it to family members. My only negative would be that for the price I thought the mobile could be a little more interesting or turn on its own. Other than that I’d buy again in a heart beat. Easy to use, links to phone, baby loves it! Although this is a pricey product it has been a life saver for us. A lot of people told us it was not essential and we could spend money elsewhere but I have found it so helpful and genuinely essential. It has meant I can have a cup of tea or a few normal moments to put washing on etc throughout the day and leave my clingy baby somewhere he’s happy to be! It’s also so clever that you can link the product to your phone so you can change the settings without having to get up and possibly disturb your baby! Fab product. Baby doesn’t like it, didn’t come with power cable, large! 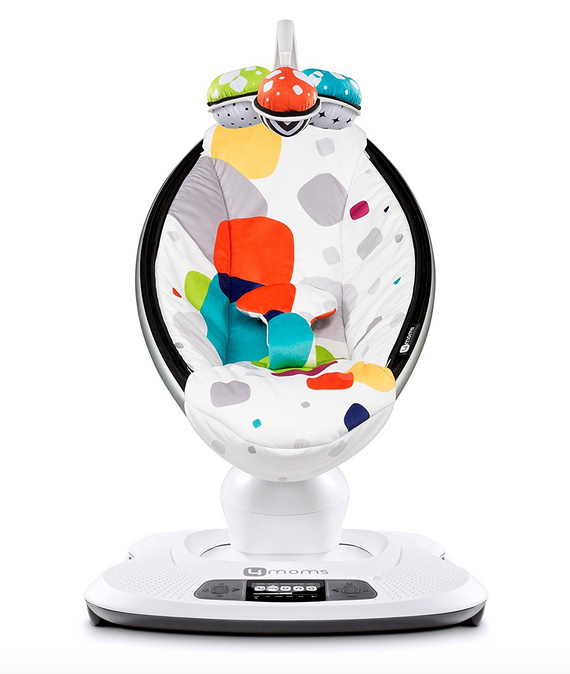 I think this rockaroo is brilliant as a rocker but my baby doesn’t like to be in it for more than a minute at a time. It takes up a LOT of space but it easy to use and relatively pretty compared to others available on the market. I love the look of it and had high hopes for it soothing my baby but sadly my baby just doesn't like it, from day one I have struggled with her getting on with it. She prefers her cheap bouncer type. 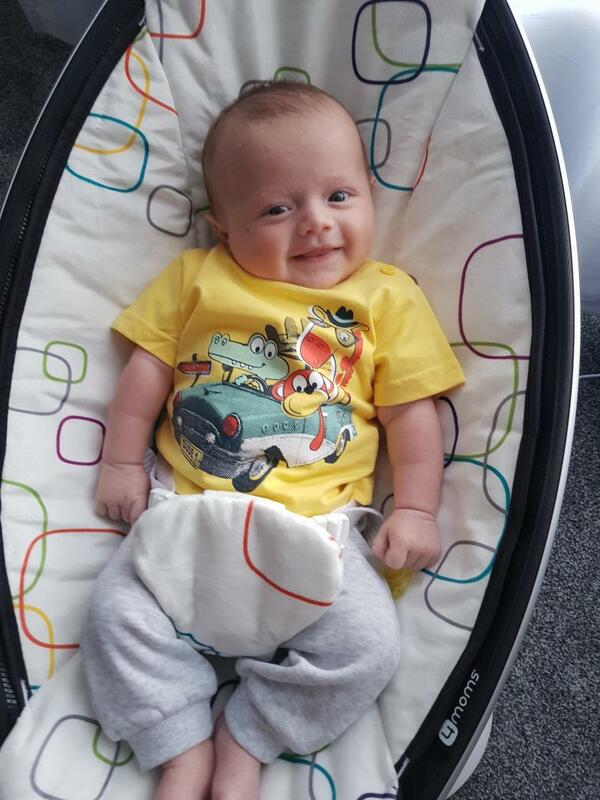 When my little boy was around 6 weeks old he was really bad with 'colic' and very uncomfortable, he found it very comfortable. Sometimes you need 5 mins where your not jigging around the room and that's where the mamaroo comes in. It was so soothing for him and if I had to recommend a must have baby item it's a mamaroo. Steep on price but worth every penny. This is an expensive item but I would say worth every penny if you can guarantee your little one will like it. Can be hooked up to your phone so you can change the setting without going over and disturbing your baby. It uses a mains plug so you don't need to keep changing batteries like some vibrating chairs. The car ride setting will put your baby straight to sleep. 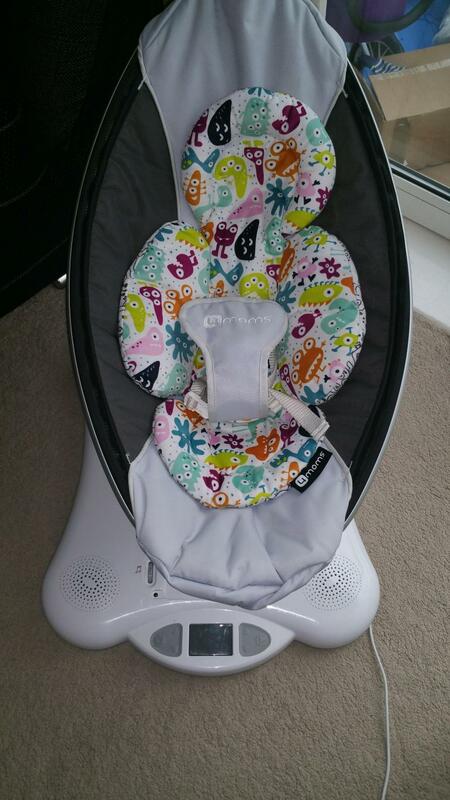 It also has a newborn insert for little ones but it can't be used over a certain weight that I am estimating being about a 1 year olds weight, so on that basis it is expensive if you can only use for a short time. This for us has been well worth the money! The different motions have been great at getting out baby to sleep, when I need my hands free to do homework/dinners/laundry for the other children it’s really been worth the price tag. My baby is still fairly small and not sitting so it is still in regular use, he doesn’t make use of the toy bar so this seems to just be in the way when putting him in and out. It’s quite bulky so we have got a small bouncer chair too for when we visit family etc. Other than that no grumbles! This swing is very handy for those who want to keep their little one entertained and in place hands free and hassle free. The buttons on the machine allow you to rock your baby in 5 different ways without having to push the swing yourself. There are also different speeds for those babies who like to move around fast and slow. The seat is comfortable for baby to sit in and there is a belt to keep the baby safely secured. 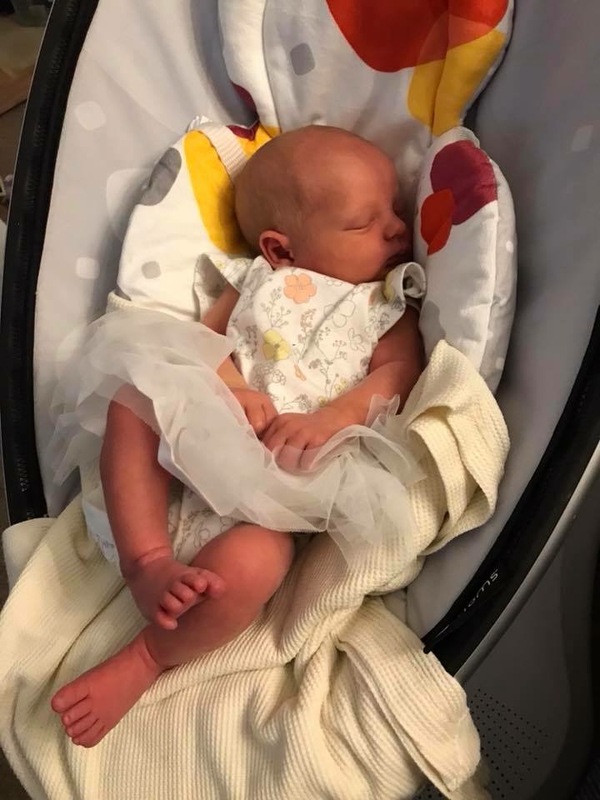 If your baby is newborn, the seat is too big alone and one needs to purchase a newborn insert separately which is not ideal since the actual swing is quite expensive. There are removable toy balls that hang from the top to keep your baby entertained whilst he or she is in the swing. Another good feature is that the swing can be connected to your phone so that it can be operated via bluetooth. This is my second time owning a Mamaroo. I decided to get one for my son that always wanted to be rocked to sleep. 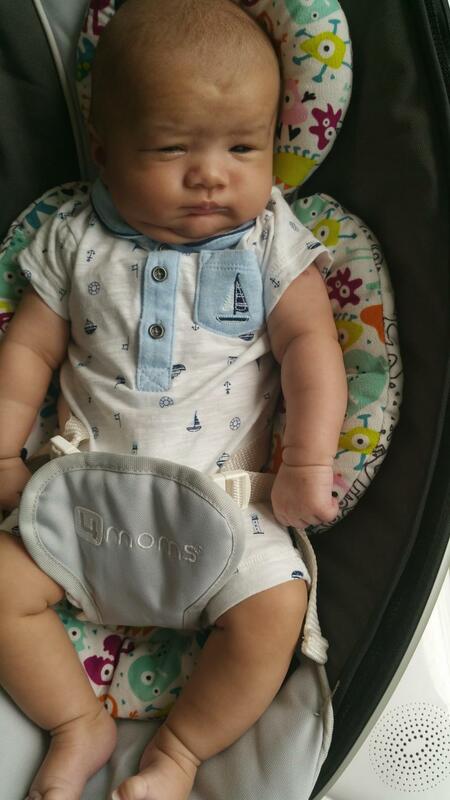 Although he still cries to be picked up he does eventually go to sleep in his mamaroo and stays sleeping for a good while! 5 different motions and speeds. Lovely soft plush material, didn't even need to buy the newborn insert as the material was already comfortable and soft. Fully reclines so no need to worry about baby asphyxiation. It has white noise i find its quite tinny sounding and not very loud for the speaker being at the bottom on the base. My daughter absolutely loves this product and so do i. I like that i can strap her in it and she is nice and safe. She is entertained with it for ages which allows me to get on with cooking or cleaning in peace. Its light to carry which makes it easy to move. I also like that you can lay it down or sit them up. This is my fave product i have for my baby. He is safely strapped in and i can set it to sway him in different ways like car ride or wave. I love this product 100% recommend! I absolutely loved this bouncer, it amazed me at how calm it could keep a new born baby. With already having a small toddler that needed a lot of attention, the mamaroo provided me with that time. My youngest enjoyed the rocker so much as soon as you put him in it he'd fall to sleep. Comfy, sturdy and lets you put baby down! Price? Only for some though. Got arm ache from holding your little one constantly and rocking? Then this is your life saver! With 5 different programs, a selection of sounds your baby will love this! It’s amazing! Baby is being rocked and you get some well deserved rest! What is there not to love! I purchased the 4moms chair last year when I was expecting my first son, my sister had given birth a few months before me and so I allowed her to use it up until I gave birth. Her daughter didn't take to it very well, this may not be the product it could just be her personality, however she seemed very uncomfortable in it, having said that when my son was born he loved it!! The rocking notion often made him fall asleep which made time for me to do other things. The other great feature is the connection that you have for your phone, should baby get unsettled we often connected our phones and played rain sounds which would 9 ties out of 10, make him fall right back to sleep again. The chair is a lovely chair all round, maybe my sister just had a little bad luck! Would you love a baby chair that can soothe your baby with the same sort of motions you use? Parents don't vibrate or swing, they bounce and sway, and that is precisely what the 4moms mamaRoo does too. Just like you. This isn't just another infant seat. This seat has been designed to be clever, thoughtful and natural. The 4moms team created the mamaRoo using motion sensors to understand exactly how Mums and Dads brought calm, tranquillity, ease and comfort to their babies, and then they replicated those movements in the mamaRoo chair. This is the only infant seat with 5 different motions and is sure to provide hours of fun and comfort for any child. 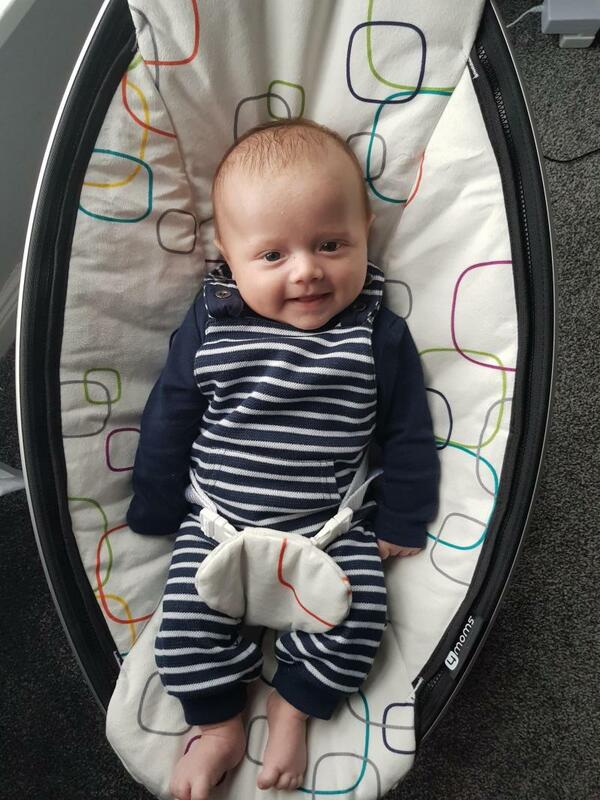 The mamaRoo is the next best place for your baby to be, apart from in your arms.